Anyone who travels a lot has probably lost their luggage at some point, if only temporarily. But chances are you’ve never had your luggage burned, left outside in the rain, or soaked in human waste. 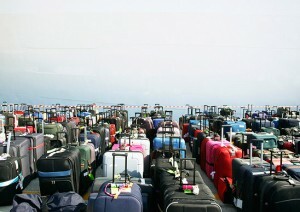 These are only some of the harrowing tales from budgettravel.com’s slideshow on the worst luggage incidents of all time. Travelers beware… This slideshow might make you want to stick to carry-ons only.